Green Tea & Awapuhi Earthbath Shed Control Grooming Wipes are infused with potent antioxidants and skin moisurizers that help relieve shedding and dander between baths. Mild cleansers deodorize, freshen and clean, while essential green tea leaf extract, omega-6 fatty acids, and other natural humectants & emollients nourish & detoxify skin and coat. 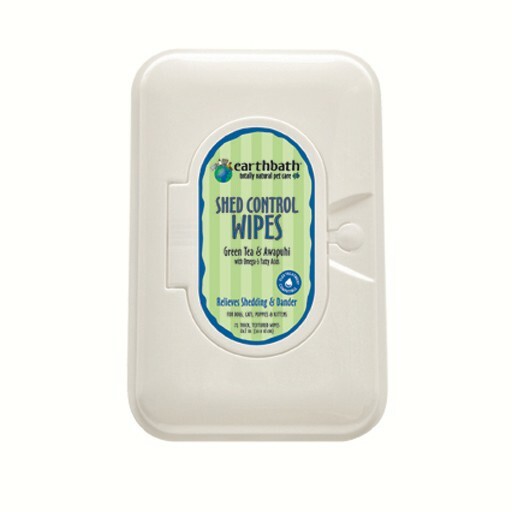 Use in conjunction with earthbath Shed Control Shampoo and Conditioner for best results. Safe for all animals over 6 weeks old.